Reach Leh Pickup from airport and Transfer to Hotel. Evening free time at Leisure Overnight Stay at the Hotel. Leh – Srinagar Highway. Kali Mata Temple & Gurudwara Patthar Sahib, magnetic Hill. . Evening Walk With Slow Pace In Leh Bazaar. 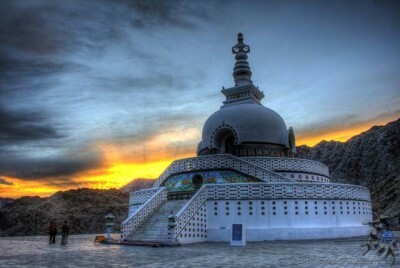 Shanti Stupa and Leh Palace sightseeing. Overnight Stay at the Hotel. Morning After Breakfast Leave For Leh. On the we will visit Hemis Monastery & Sindhu Ghat & back to Leh.Overnight Stay at the Hotel. After Breakfast drive to Nubra Valley via Khardung la pass the highest motorable road in the world (18,380 feet). On the way you get excellent view of great Karakoram Range. Keep driving through Syok River and reach Hunder by late afternoon. Overnight Stay at the Hotel. After Breakfast visit Deskit Monastery & drive to Leh by same Route. Reach Leh by afternoon. Evening free time at Leisure to explore Leh market. Camel Safari Charges, Boating, Rafting and any type of Adventurous Rides etc.